Are Denver Motorcycle Riders Subject to Common Injuries? Because motorcycle riders don’t have the same protection as drivers and passengers of other vehicles, they frequently suffer a wide array of serious injuries. Even with the best helmet and riding gear, bikers are still commonly injured. Drivers of cars and trucks often fail to notice bikers until it is too late. Head injuries. Any impact involving the head can be extremely dangerous and should always be taken seriously. Injuries to the brain caused by an impact are known as traumatic brain injuries (TBI). They can range from a mild concussion to coma and even death. Other types of brain trauma include coup contracoup injuries caused by a head bouncing on pavement or another surface and shearing injuries caused by sudden deceleration or turning of the head. Road rash. When a biker is thrown from their bike, they often slide across the pavement. This causes intense friction and the rocks in the pavement tear away the rider’s skin. Think of rug-burn, but with asphalt instead of carpeting. Proper gear can often minimize road rash. Muscle damage. Muscles are often sprained or torn when a rider attempts to break their fall. Broken bones and fractures. The impact in a motorcycle wreck is often powerful enough to break bones in the legs, arms, ribs and shoulders. Spinal cord injury. Serious damage to the spinal cord can cause paralysis or other issues after an impact. This is especially likely when a biker is pinned in between two vehicles or objects. Bikers are especially likely to be injured in the springtime and summer. Drivers should take extra care to look and listen for motorcycles before turning or switching lanes. 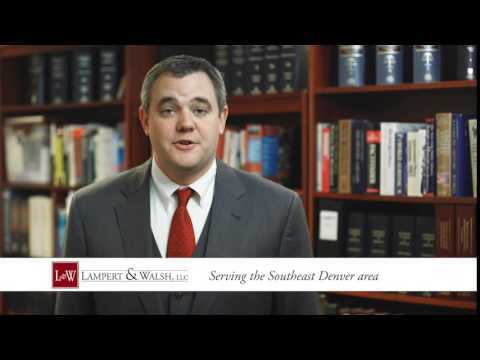 If you or a loved one has been injured in an accident involving a motorcycle, it is important to contact a Denver motorcycle accident injury lawyer at Lampert & Walsh, LLC online or at 720-489-5848 as soon as possible. Injured bikers only have two years from the date of the accident to bring a lawsuit for damages in Colorado.